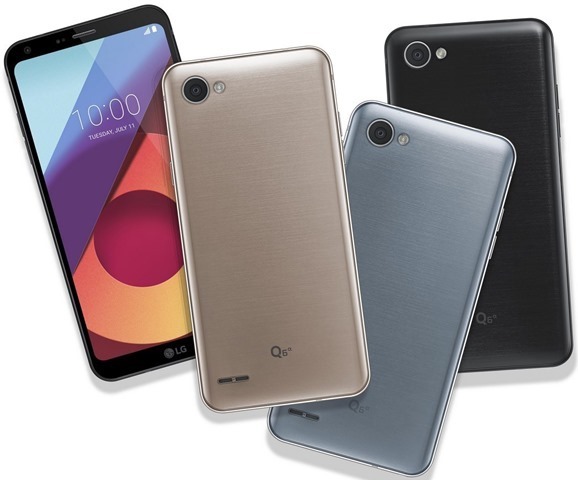 LG has announced a new Q series of mid range Phones, with the launch of the LG Q6. 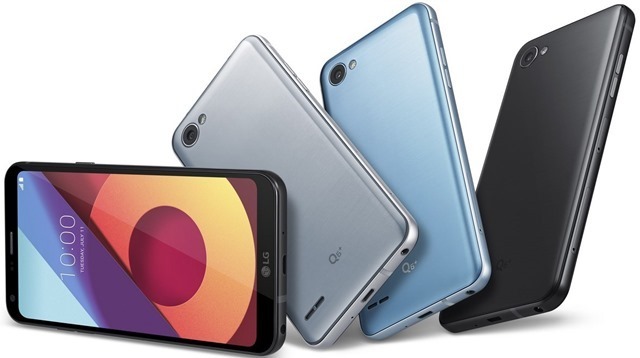 There are three variants of the LG Q6, with the Q6+ and the Q6α )Alpha), being the other two in the lineup. The Q6 is the first phone in the mid range section to feature a FullVision display, with the same bezel-less design as seen in the South Korean electronics giant’s flagship device, the LG G6. The LG Q6 sports a 5.5-inch FHD+ FullVision display with an 18:9 aspect ratio, and a resolution of 2160 x 1080 pixels at 442 ppi. All three variants in the Q6 family run on Android 7.1.1 Nougat with LG UX 6.0 on top, and are powered by a Qualcomm Snapdragon 435 Mobile Platform chipset. The only differences among the devices are the memory and storage, with the Q6α being the starter variant with 2GB of RAM and 16GB of storage. The Q6 has 3GB of RAM and 32GB of storage, while the Q6+, the highest variant in the family, comes with 4GB of RAM and 64GB of storage. The main lens on the LG Q6 is a 13 megapixels standard angle rear camera, while selfie lens on the LG Q6, is a 100-degree wide angle 5 megapixel front camera . The LG Q6 has a aluminium metallic frame and body, and is backed by a 3,000mAh battery. As you can see from the photos, the LG Q6 does not have a fingerprint scanner, though it does offer LG’s Face Recognition feature for unlocking the device. LG has not announced the prices of the LG Q6, Q6α and the Q6+. But it says that they will be priced affordably, and will go on sale in Asia in August, followed by Europe, Latin America and North America.